Gov. 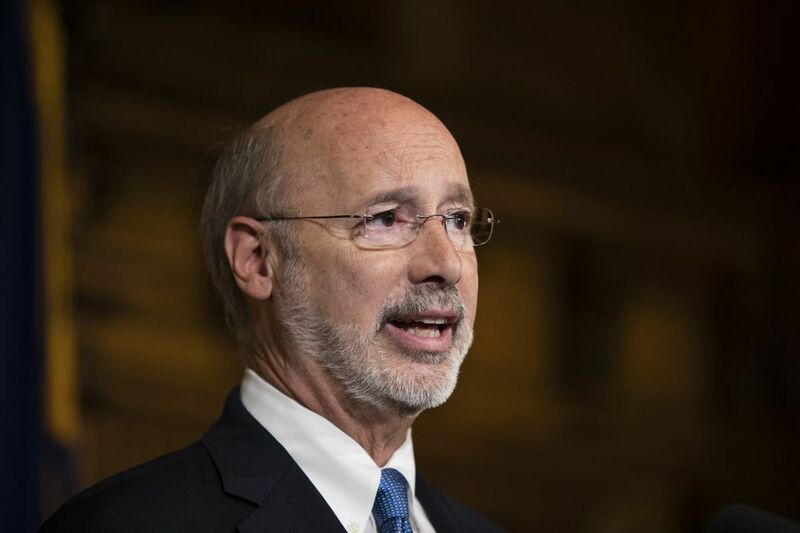 Wolf ignored his constitutional obligation and allowed an unbalanced $32 billion spending plan to become law. After 70 years in business, the CC Orlando & Sons family bakery in Overbrook is closing. It's not that customers lost their sweet tooth; Philadelphia's new "soda tax" drove them away. Though many politicians love to deny it, higher taxes have real negative consequences for families and businesses. Unfortunately, Philadelphians are no strangers to burdensome taxes. From the soda tax to the cigarette tax to the city wage tax to the realty transfer tax, the City of Brotherly Love loves taxing its residents and workers. Just look at the businesses setting up shop across City Avenue to escape Philly's myriad taxes. That's why Philadelphians should be particularly concerned by efforts at the state level to increase their tax bills even more — by as much as $180 more per family of four per year. In July, the state Senate narrowly passed a $600 million tax-hike package that would slap additional taxes on things like home heating bills, electricity, and even cellphone service. These are broad-based tax increases by any standards: Electricity and cellphone use are ubiquitous, and nearly 1 million households in Philadelphia and the surrounding counties use natural gas heating, according to the Pennsylvania Public Utility Commission. Senate supporters — who narrowly passed the tax bill with almost no debate — claim these taxes will help close a budget gap created when Gov. Wolf ignored his constitutional obligation and allowed an unbalanced $32 billion spending plan to become law. In reality, these higher taxes will harm most Pennsylvanians while leaving the budget crisis unresolved. In fact, the increase would cost 3,600 jobs and $932 million in disposable income, according to an economic analysis by the Beacon Hill Institute. Philadelphians know that if their household spending increases more than their income, that's a problem. Harrisburg lawmakers have yet to learn this basic economic lesson. Instead, this tax increase stems from state government's scrambling to feed its spending addiction. For years, spending has significantly outpaced economic growth. From June 2015 to June 2016, Pennsylvanians' personal income grew 2.93 percent and inflation was 1 percent. Yet state spending grew more than 4 percent during this same period. This has been the trend for more than a decade. Some pushing for tax hikes argue government spending is "cut to the bone" and higher taxes are the only solution to fill the gap between spending and revenue. We've seen that dog-and-pony show before. In the name of necessity, state government has already raised taxes on Pennsylvanians four times in the last eight years. Yet each year, a new deficit crisis emerges. Why? Overspending. In the last three years alone, state spending in the general fund has skyrocketed nearly $3 billion. Tax hikes won't fix our budget woes, because tax hikes can't cure overspending. Instead of asking working families to solve the state budget shortfall, Wolf and lawmakers should prioritize existing resources. The spending plan Wolf let become law represents just 40 percent of total state spending. An astounding 60 percent of state government's costs are "off book" in a largely unknown and rarely scrutinized "shadow budget." This shadow budget includes more than 150 "special funds" that often increase each year without review. Funds like the Keystone Recreation, Park and Conservation Fund, the Agricultural Conservation Easement Purchase Fund, and the Race Horse Development Fund — which alone allocates $250 million per year. Redirecting hundreds of millions of dollars in horse-racing handouts rather than raising taxes on necessities used by nearly all Pennsylvania families should be a no-brainer. Thankfully, the state House has a chance to reject the Senate's tax hikes and enact real reforms. House Majority Leader Dave Reed (R., Indiana) has said as much: "Why would we take a broad-based tax like that and put it on every consumer when there are alternatives that are out there?" Among these alternatives are controlling shadow-budget spending, implementing transformative human services reforms, and getting government out of the liquor business. Lawmakers should do everything in their power to ensure Pennsylvanians aren't forced to pay more to heat and light their homes and businesses. Because, as Philadelphia's soda tax proved, higher taxes wreak havoc on lives and livelihoods.